How about we shake things up a bit, and have a friendly little chat with a gluten-free cookbook author? You should all know by now that Roben Ryberg, author of The Gluten-Free Kitchen, has a new cookbook that is soon to hit the stores. I wanted to share our friendship with you. So grab a snack and enjoy this interview! C: What pulled you into the gluten-free world? R: A friend of mine, Jane Vent, asked me to make her something to eat. She knew I was a “foodie” so I was up for anything. However, the list was pretty intimidating… and that’s when most of the foods tasted like cardboard (or worse). The DC/Northern Virginia Celiac chapter took me under their wings with much encouragement and friendship. They told me when attempts were good, and when attempts were failures. C: What, in your opinion, is the most important aspect about your first book? So, be safe first. Enjoy your favorites, and eat more veggies. C: What made you decide to write another gf cookbook? R: I love (yes, oddly that is accurate) working with food. I thought, especially for beginners, it would be nice to have a comprehensive book that is easy to use. For example, more experienced gf cooks intuitively know how to modify a soup recipe to be gluten-free. This book removes the need for an underlying knowledge base and gets the reader eating good food immediately. For many, there is such a misconception that only broiled chicken and steamed veggies can be eaten on this “restrictive” diet. My newest book gives the reader hundreds of fearless options. C: Tell us about your new book. R: The new book is called You Won’t Believe It’s Gluten-Free. It gives the reader favorites thy might miss from a local bar, favorite fast-food place, local restaurant, or Grandma’s house. For example, calamari, fish and chips, orange chicken, or corn chowder. And we can’t forget sweets either! Wedding cake layers, chocolate souffle (one of my favorites), and cake that stays moist. Like the first book, this book sticks with basic ingredients whenever possible. But unlike the first book, this one is even simpler. Many recipes use just one flour (just rice, just corn, just potato, or just oats). I have long believed that it makes no sense to give a person with a sensitive immune system a flour blend that utilizes grains that are among the top allergens in the US. To that end, it seemed natural to use just one grain at a time. That way, the reader can use whatever suits their tastebuds and their body. Oh, and how about 25 ways to make poultry? Numerous seafood dishes? Grandma’s potato salad? Crackers and Soups? The new book is just full of yummy foods! C: What is your greatest gf discovery? R: That’s a hard question! I guess I’d say that greater difficulty or specialty ingredients do not necessarily yield better results. Perhaps the boldest discovery I made is to simplify. This simplification is most evident in using just one flour to make great baked goods. Many people believe you must use a flour blend in gluten-free cooking to achieve good results. I am proud to say, this is simply no longer true. C: What made you decide to use single flours for so many recipes? R: I think there are a lot of additional dietary concerns. Some people cannot tolerate certain grains, or may prefer the taste of one over the other. And, finally, I thought it would be great to grab a single box/bag of flour and a little xanthan gum, and that’s it. No tower of flours required. Really, almost everyone has cornstarch… give them a little xanthan gum and you can have tasty food. Same thing for potato starch, rice flour, and safe oats. C: Where will you be June 6-7, 2008, and what will you be doing? R: I will be in Dallas, Texas, at the National GIG Celiac Conference. I will have the privilege of talking about demystifying gluten-free baking. I can’t wait to share insights about xanthan gum, vinegar, baking powder, measurements, etc. I promise the presentation should be interesting. It should also give the listener a lot of “AHA” moments and a few laughs, too. I’m also looking forward to learning a lot. So many industries are competitive and secretive. The GF community is like a camaraderie of friends all looking to make gf living better. A long time ago, I met Bette Hagman and she shared her insight into a cooking problem I couldn’t pinpoint – protein was the answer – LOL. I’d like to follow her lead. C: What is the hardest part about writing a cookbook? R: The hardest thing about writing a cookbook is not being able to share discoveries and new recipes with everyone. Oh, deadlines are pretty difficult, too. C: What advice would you give to all the aspiring gf cookbook authors out there? R: Find brutal friends that will eat anything/everything you make. This is not a time for people to be nice. Days of gf cardboard are mostly gone. Good for gf is not good enough anymore. Lots of gf authors live a gf life. I think that puts them at both an advantage and a disadvantage. While we can all recall the flavor of a family favorite, it is difficult to create the nuances of a recipe never eaten before. Your taste-testers must be brutally honest and good at describing food. Learn a lot about food theory. Devour anything you can get your hands on. Make friends with other foodies. The more you know, the better your cooking. Look in the reference section of a large library for a book called The Writer’s Market. It will familiarize a writer with the process. Know exactly why you think your work merits publication. Why would a publisher would like your approach over the works already published? Why is your book better? How large is the market? What new do you bring to the mix? And, lastly, don’t rush the process. Time and contemplation can bring much to the process. My time and contemplation were often dreams about gf food… a nightly loop of gf food theory… LOL. Thank you, Roben, so much for sharing that with us. Place all ingredients in medium-sized mixing bowl. Mix very well. The batter will seem thin, but will thicken considerably when allowed to sit for a minute or two. The batter will better fill the waffle iron when the dough is thicker. Place large 1/2 cup batter into waffle iron. Cook to desired level of browning, about 1 & 1/2 minutes. These are my family’s absolutely favorite waffles. Give these a try. I’m sure you will be pleasantly surprised. We serve these to non-gf guests all the time. Your waffle recipe looks great, may we put it on our web site, giving you full credit of course. 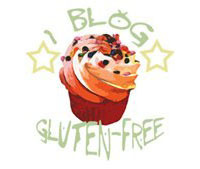 However if you want lots of free Gluten-Free recipes go to our free web site, http://www.glutenfree-crawley.org.uk. We have about 30+ recipes all for gluten-free cooking and we are adding around 5 or 6 a month, they are in pdf format so you can download them when you wish. You click on the recipe you want and it will soon appear. Lets know what you think. Lovely interview with Robin. Thanks for sharing! BOTH of you guys are awesome. Thanks C, Thanks R. Hugs to you both. Great interview, that recipe looks awesome! I think it’s great advice to get your non gf friends to try out all your gf recipes so that you get a truly memorable food experience and not just a “good enough” experience. Love it! I think Roben’s book, You won’t believe its gluten free, is great. Is there an email address or website where I can submit some questions for Roben?